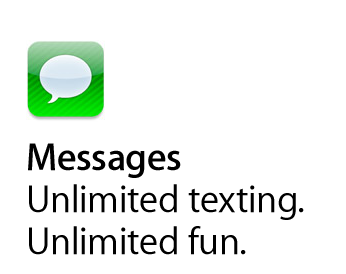 iMessage, one of the most used native Apple tools for communication, is now a registered trademark of the Cupertino company, Patently Apple reports. First introduced by Scott Forstall back in 2011 during the Apple’s WWDC, announcement came later that this neat app would replace iChat with the arrival of Mountain Lion. As of Wednesday November 22nd 2012, UPSTO officially granted Apple two Registered Trademarks numbered 4,222,501 and /502 respectively.